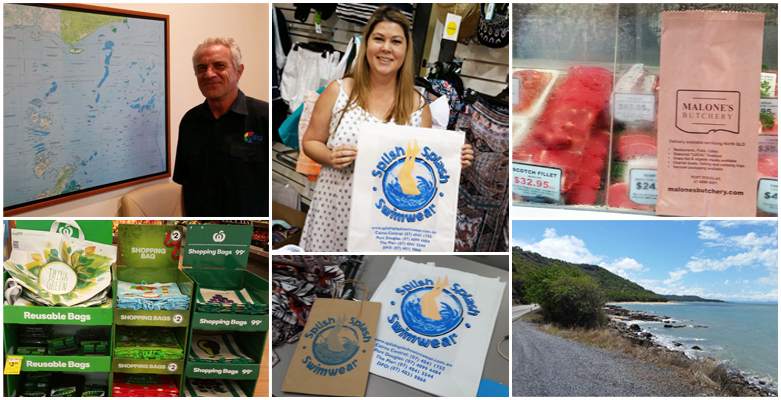 We recently met with retailers in the Cairns region (including Cairns, Port Douglas and Innisfail) and were impressed with local businesses either not using plastic bags at all or preparing to transition away from banned bags. 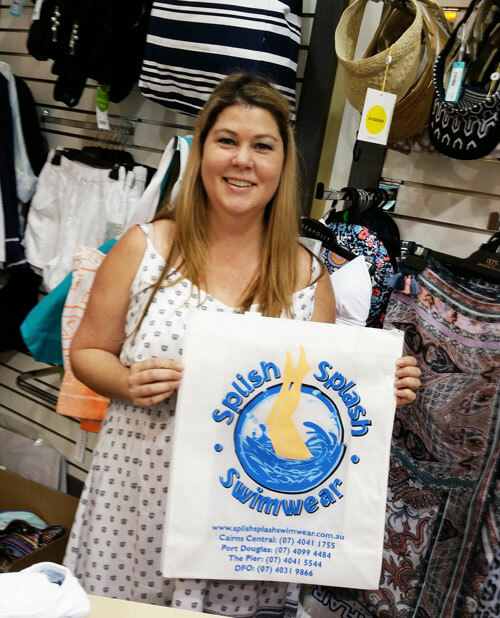 Yasmin @ Splish Splash Swimwear shows off their eye-catching reusable and paper bags when we recently visited their Cairns and Port Douglas stores. 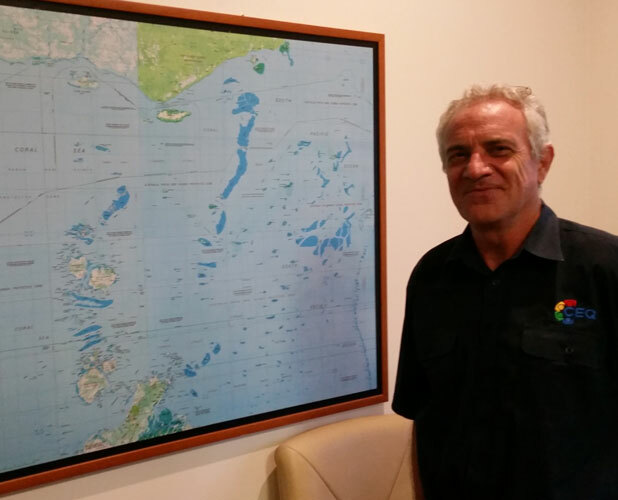 Rob Wilson @ Community Enterprise Queensland (CEQ) met with the NRA in Cairns to discuss their plans for replacing lightweight plastic bags at their 24 remote grocery stores across Far North QLD and Torres Strait. 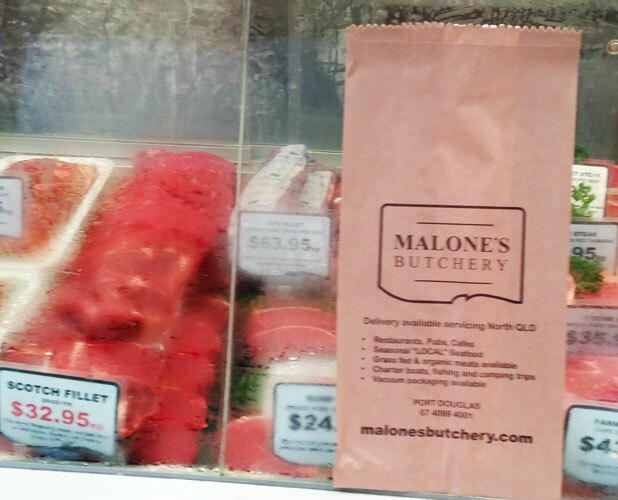 The team @ Malone’s Butchery in Port Douglas are passionate about high quality produce and are changing over to paper bags in the lead-up to the QLD bag ban. 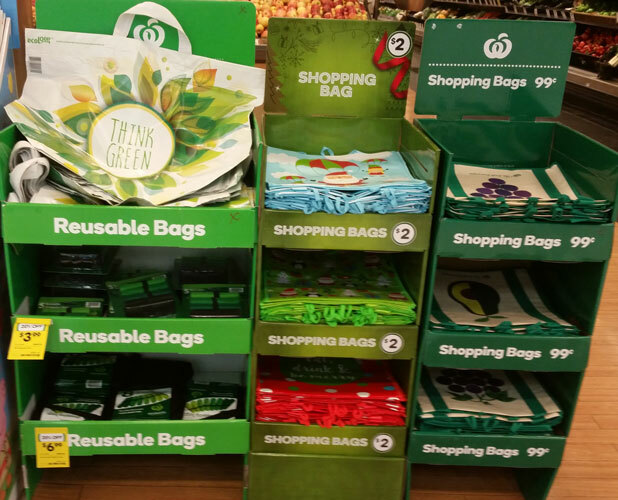 Reilly & the team @ Woolworths in Innisfail are now offering a large range of reusable bags. 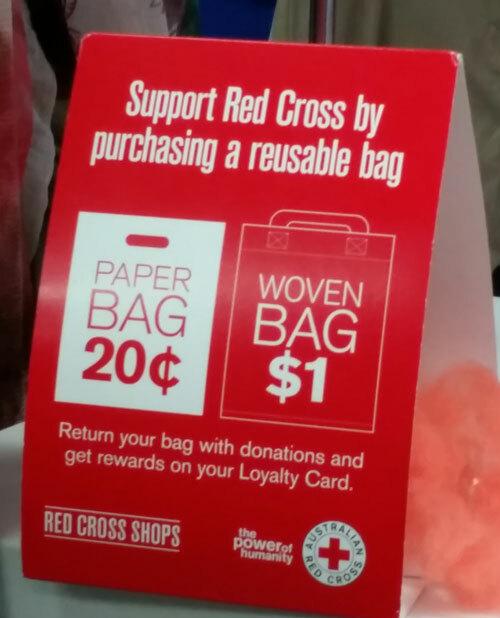 Red Cross Shops are phasing out plastic bags and selling paper or reusable bags, as the NRA team saw in their Cairns store.